In addition to her parents, she was preceded in death by her first husband, Floyd W. Blake; a son, Kevin Blake; two sisters, Nancy Rush and Beth Durbin; and a granddaughter, Kayla. Surviving are her second husband of 3 years, Randall L. Dobbs; her children and their spouses, Carol (Brian) Lilley of Cameron, W. Va., Mary (Jay) Briggs of Aleppo, Randy Blake of Ohioville and Jerry (Kerry) Blake of Greene Twp. ; and a stepson, Jeff R. Dobbs of Kansas. She is the sister of Duane (Andrea) Durbin of N.C., Dave (Donna) Durbin of Wheeling, W.Va., Kevin (Krista) Durbin of Cameron W.Va., Jerry (Lottie) Durbin of Moundsville, Kermit Durbin of Ohio, Jayne (Ed) Ross of Massachusetts, Wanda Allman of Cameron, W.Va., Della Paige (Frank) Mastromarino of North Carolina and Dorothy Kyle of Hundred, W.Va.; and grandmother of 17, Nathan, Jeffery, Cierra, Nicholas, Abigail, David, Nevaeh, Jonathan, Glendon, Ashley, Allison, Kensington, Kevin, Logan, Jacy and Taylen; and great-grandmother of four, Krissy, Kenlee, Isiah and Glendon Dale. 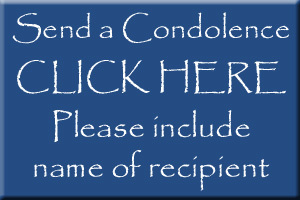 Family and friends are welcome to call at the MCCONNELL FUNERAL HOME, 447 Pine Street, Hookstown, PA 15050, on Wednesday and Thursday from 2 to 4 p.m. and 6 to 8 p.m. 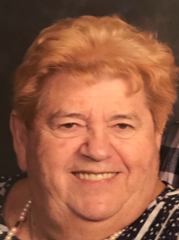 Her services will be held Friday, February 15, at 11 a.m. in the Millcreek EPC of Hookstown, 5005 Rte#151, Hookstown, PA 15050. The Rev. Kenn Jacobs of the Bethel United Methodist Church and the Rev. Harper Brady of the Mill Creek EPC Church of Hookstown will officiate. She will be laid to rest in the Woodlawn Cemetery, Aliquippa.